Over 70% of India’s existing thermal-power utilities are likely to face stiff competition for water from agricultural, urban and other industrial demands in the next twelve years. The world’s leaders have come to recognise water and the climate as major global risks. However, significant actions to tackle them haven’t been taken, according to a new report by China Water Risk (CWR), a non-profit organisation, that addresses business and environmental risks arising from China’s urgent water crisis. The Hindu Kush Himalaya (HKH) region comprises over a dozen countries sharing water from ten rivers. China is the largest of these countries and arguably the most influential. To pay attention to its attention is no different from paying attention to security, foreign policy, environmental and economic implications for all the countries involved – especially India. The 16 countries in the HKH – a.k.a. the HKH 16 – are divided into two groups. Afghanistan, Bangladesh, Bhutan, China, India, Myanmar, Nepal and Pakistan make up the HKH 8 from which rivers originate. Cambodia, Kyrgyzstan, Laos, Tajikistan, Thailand, Turkmenistan, Uzbekistan and Vietnam are called the ‘Downstream 8’. The ten rivers in question are the Amu Darya, Brahmaputra, Ganges, Indus, Irrawaddy, Mekong, Salween, Tarim, Yangtze and Yellow. According to the report, the HKH 8 don’t have enough water to develop under the prevailing export-led economic growth model. According to estimates, to achieve a per capita GDP of over $50,000, the US uses 1543 m3 per capita of water, which is only 16% of its total renewable water capacity (9,538 m3/person). On the other hand, the renewable water capacities of China and India are 2,018 m3/person and 1,458 m3/person, respectively. Similar concerns, about the gulf between demand and supply, had been raised by the NITI Aayog in June this year. Climatic change and a rising water demand from rapidly urbanising cities are likely to add to this stress. The power generation mix in this region also depends a lot on water. For example, the Central Electricity Authority (of India) reported in March 2018 that thermal power accounts for more than 86% of India’s total generation. An ongoing study (of which this writer is an author) suggests that 77% of India’s electricity comes from thermal power plants dependent on freshwater sources. And of the total generation capacity, 38.9% is installed in areas with high or extremely high water-stress. Additionally, over 70% of India’s existing thermal-power utilities are likely to face stiff competition for water from agricultural, urban and other industrial demands in the next twelve years. According to CWR, almost $4.3 trillion (16% of the HKH 16’s GDP) is generated in the basins of the ten rivers. However, business and investor communities don’t yet know the extent of their assets’ exposure to water risk. India, for instance, lost about 14 terawatt-hour of thermal power due to water shortages in 2016, wiping over 20% of the growth in the country’s total electricity generation from 2015. Water-shortage is the fifth most common reason for forced outage of thermal power plants in India, and caused almost 2% of all outages in terms of potential generation. 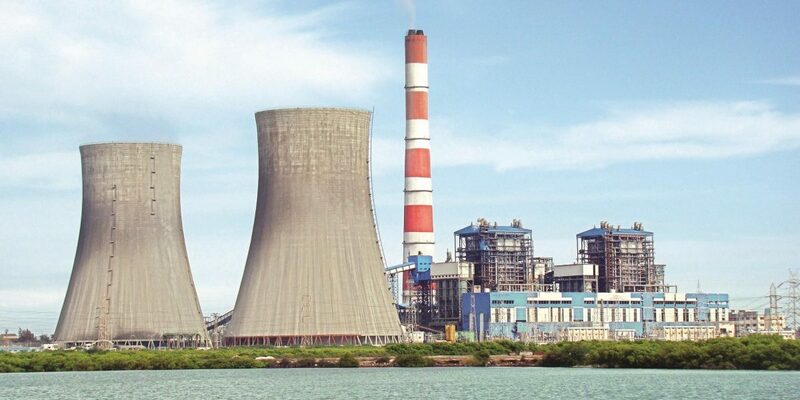 Fourteen of India’s largest thermal power utility companies have experienced water-shortage-related disruptions at least once between 2013 and 2016, losing over $1.4 billion (Rs 9,873 crore) in total potential revenue from the sale of power. In 2016, nine companies had water-related shutdown records for 12 of their plants. Together, they lost more than $614 million (Rs 4,330 crore) in potential revenue, accounting for about 2.3% of the power-sale revenue that year. This problem is likely to continue as water competition intensifies. To tide over these looming crises, the CWR report calls for smart energy choices to improve energy efficiency and increase renewables’ contribution to the extant energy mix. According to one estimate, India can reduce the water-withdrawal intensity of electricity generation (excluding hydropower) by up to 84%, consumption intensity by up to 25% and CO2-emission intensity by up to 43% relative to the 2014 baseline by 2030. The ask is only for it to achieve its renewable energy goals and follow norms laid down by the environment ministry in 2015. They include targets for specific water consumption for power plants and towards achieving zero water-discharge. The issue is that power plants are not required to disclose how much water they consume. There is little accountability as a result. Finally, the report calls on banks in the HKH region to rethink their credit policies and factor in environmental risks. Investors ought to use this assessment to engage with companies they are invested in and identify strategies to address water scarcity. Ultimately, the companies should be more sustainable and socially responsible, benefiting both people and the environment. Banks have an important role in ensuring this is so. An international group of organisations – including the London School of Economics – has already released a ‘guide for investor action’. Other, similar resources could help build a framework for such action quickly. But the bankers and investors won’t be able to work by themselves. In fact, perhaps the greatest finding of the CWR report is that as much as the 16 HKH countries must work together, so should scientists, engineers, policymakers, businesses and financiers to effect meaningful, positive change in this region of 3.4 billion. Deepak Krishnan works with the energy program at the World Resources Institute India.